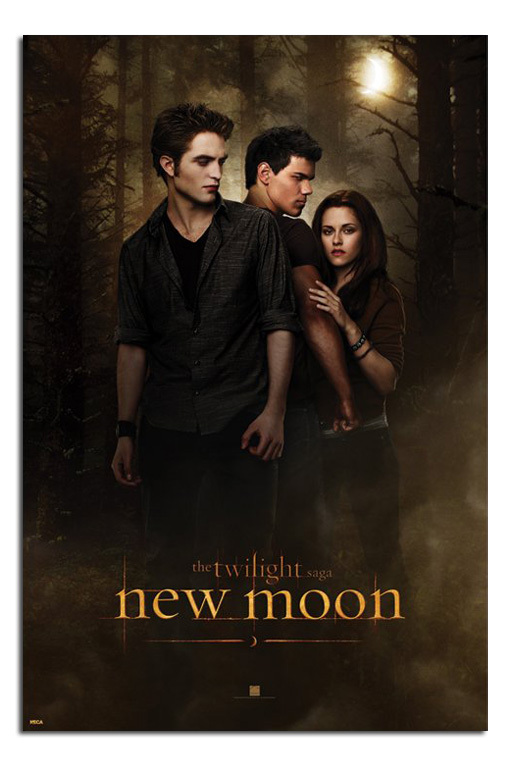 New Moon is a fantasy-romance novel by author Stephenie Meyer, and is the second book in the Twilight series. According to Meyer, the book is about losing true love. The title refers to the darkest phase of the lunar cycle, indicating that New Moon is about the darkest time of the protagonist Bella's life. The book was originally released in hardcover in 2006, following the successful publishing of Meyer's debut novel Twilight. A film adaptation was released on November 20, 2009.
anticipated books of the year. It peaked at #1 on both the New York Times Best Seller list and USA Today's Top 150 Bestsellers, and was the biggest selling children's paperback of 2008 with over 5.3 million copies sold. I HATED this film!! Its a chick flick that has vampires and werewolves! Absoulute joke.. I wanted a refund when i left the cinema! The film is directed at 14-26 girls who want to see six packs and get all hot and steamy watching it!! They runined the film! if you love vampires. and love werewolfs. and love to see hatred in them. and dont mind a bit of a awkward teenage sexual tension love triangle then you will like the movie. you have to open your mind to what a vampire movie can be about.